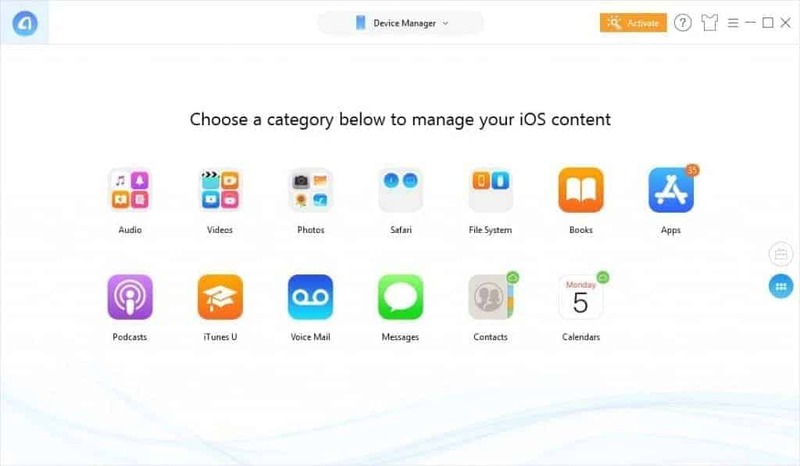 The iMobie AnyTrans is a great software to manage your iPhone, iPad from PC and Mac. It is a great alternative to iTunes. When you want to transfer content from your iPhone/iPad to PC, you need an additional software. In this case, AnyTrans can be an option and an alternative to the iTunes. But, Is it perfect? You will know after reading this unbiased AnyTrans Review. Unlike Android phones, Apple mobile devices or tabs don’t allow you to transfer anything conveniently without having iTunes or any additional software. So, There are several programs that can help you to do your task more conveniently. Some of them are better than iTunes in specific functionalities. AnyTrans is one of them. This article is about it. 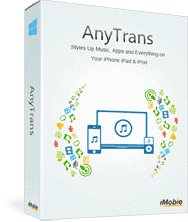 AnyTrans is a great premium iTunes alternative offered by iMobie. It can perform many tasks especially file transfer and backup services very conveniently even better than iTunes. This software has some excellent features. Just, Go through this AnyTrans review article, you will know many things. AnyTrans have many features including some major ones. Here are the best features of it. These four are major features. But, You will find tons of small features while using it. With AnyTrans, You can easily transfer contents between your PC and iPhone. To do it, You can just connect the iPhone with PC using the USB cable. Open the AnyTrans app. Probably, This one is a special feature that you have been expecting. Now, You can avoid the hassle of connecting or reconnecting iOS devices with PC using cable. Because you can backup your iPhone contents wirelessly. To do it, you will have to be in the same network. With its advanced backup manager, you can store all of your phone contents in your PC and restore when needed. Every information will be stored in a secured environment. In fact, It’s a decent backup feature. The ringtone manager feature is another one that is very useful. It allows to create custom ringtones from any music tracks and store it in your iPhone. This one is another feature that you may find while using it. You can simply clone an iOS Device. To do it, Connect two iPhones with your PC and open AnyTrans. Then, Use this feature. For example, One is an old phone and another one is the new one. 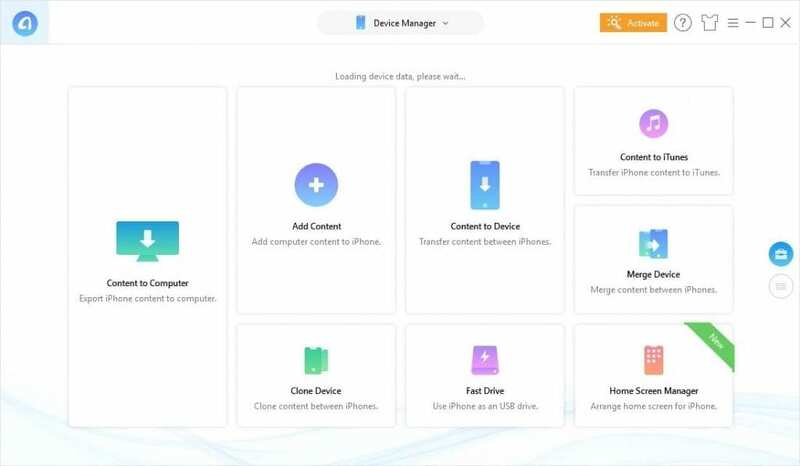 The Anytrans can transfer everything from your older device to the new one with all settings and information unchanged. So, You won’t have to go through complex setups and other annoying things. Else, AnyTrans has some other cool features. App and file management is a great one. You can customize the iPhone home screen directly from your PC. 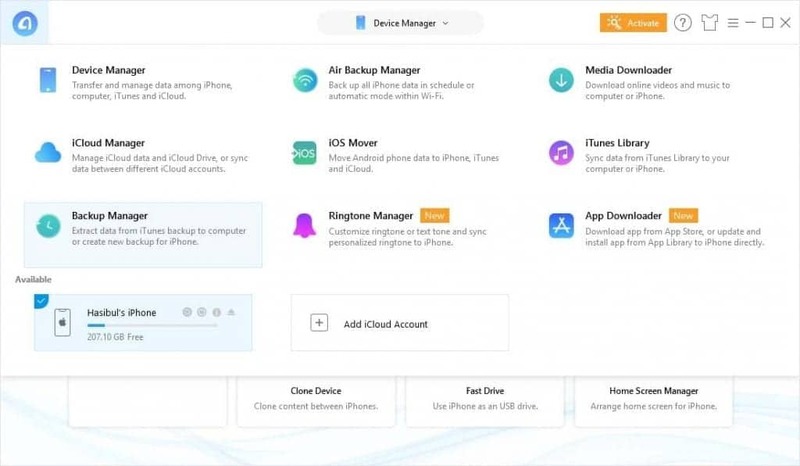 You can do many necessary things like setting custom ringtone, exploring iCloud contents, download videos and music directly to your iPhone, transfer photos and videos to PC/iCloud etc. In iTunes, things may seem complex to you. But, In AnyTrans, everything is so easy and convenient. The overall performance of AnyTrans is great. I have found no issues while using it. Transferring files between PC and iPhone and other functionalities was very smooth. But, At first, When you connect your iPhone with PC, It may take a while to sync all information. Else, Everything seems smooth and quite impressive. Every modern software should have a great UI. In this case, iMobie AnyTrans is great. You will definitely like its interface. It is very good looking, modern, simple and user-friendly. When you connect your iPhone, you will get all the relevant options on its homepage. All features are accessible very easily. I don’t have any complaints about the UI. In my entire life, I have not found a single software that is 100% perfect from every end. As it is an AnyTrans Review article, I must reveal its downside too. The only major problem I have found it has no free version but has a trial version for seven days with restricted features. 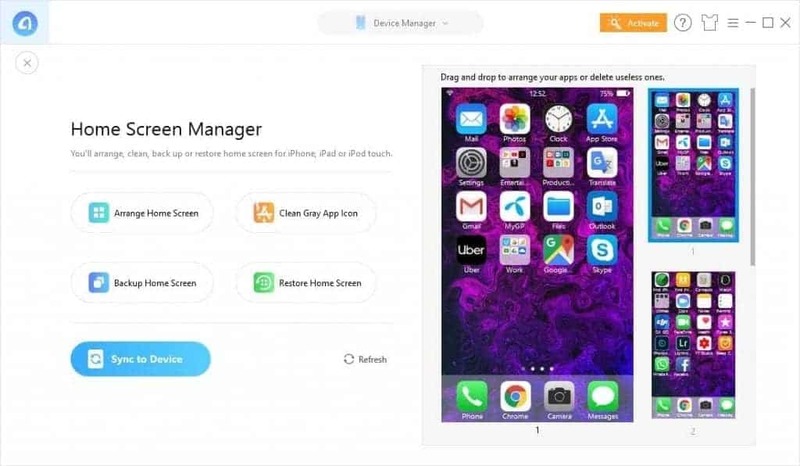 If you need a nobrainer software to manage your iPhone or iPad, iMobie AnyTrans can be a great option to you. I don’t have any problem to recommend it. In fact, It is the most perfect iPhone manager I have used. So, You also can use it if you don’t mind spending 32 bucks. By the way, If you need a much cheaper alternative, you can go for IOTransfer which has less features.